Experience the best home entertainment with the DISH Hopper® Whole-Home HD DVR. Ever since the unveiling of the 4K Hopper 3® Whole-Home HD DVR, experts have been blown away by its slimmer design, increased storage capacity, and added 4K HD features. CNET praised it as "the most powerful and feature-packed DVR to date." PCMag gave the Hopper 3 its coveted Best Home Theater Gear award. 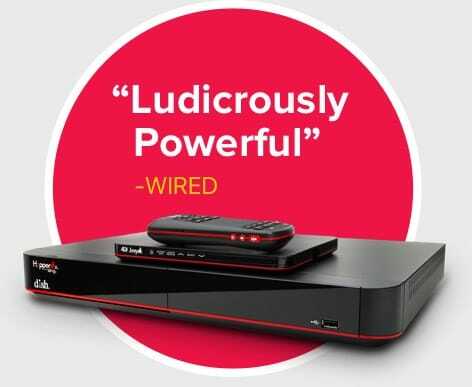 And if that wasn’t enough, WIRED even called the DISH Hopper 3 "the most ludicrously powerful cable box ever." The experts agree that DISH has made America’s best DVR better. But don’t just take their word for it, DISH is confident that you’ll fall in love with the Hopper 3 when you order a DISH package today. You can add a Hopper 3 to any DISH package for the low monthly cost of $10. And, don’t forget to expand your HD viewing experience throughout your whole house with some 4K Joey receivers® for the low price of $5 a month per TV. With DISH, you’ll never be short on high-definition entertainment options for your entire home. How does the DISH Hopper 3 work? Many home-entertainment experts have weighed in positively on the Hopper 3, but why exactly is this DISH DVR widely considered the best on the market? To start with, the 16 tuners on the Hopper 3 allow for more simultaneous recording and watching—double the amount of the Hopper Whole-Home DVR, which was already the industry leader in DVR capacity. But why on earth would you ever need to record 16 shows at once? For some TV aficionados, DVR storage can get pretty complicated when they’re recording exclusive kids shows, original TV series, hard-to-find movies, and live sporting events—perhaps all at the same time. 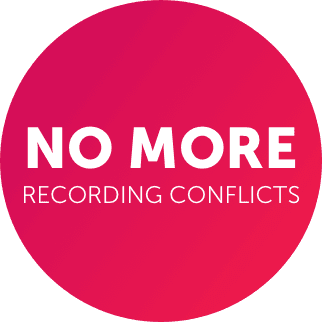 With the DISH Hopper 3, your family will never have a recording conflict ever again. 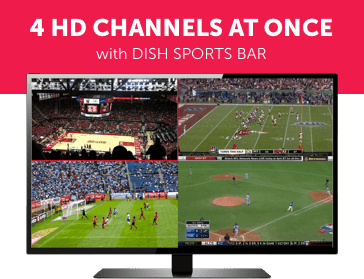 In addition to more tuners, the DISH Hopper 3 gives you the ability to watch and customize four channels at once in 1080 HD with the DISH Sports Bar mode. When you add all of that up, you’ll see that, with the Hopper 3, your family can watch more TV at the same time all around your home. Likewise, 4K TV owners can watch, record, and store their favorite shows and movies in 4K to the 2-TB Hopper 3 hard drive, which has double the storage capacity of the DIRECTV Genie. Previous Hoppers helped create the viewing experience of a sports bar right at home. Now that experience has been enhanced with the ability to watch sports channels in 4K—the highest HD resolution available. Step into the future of entertainment today with the 4K Hopper 3 Whole-Home HD DVR. With the DISH Network Hopper 3, you can effectively upgrade your TV to a Smart TV. That means your family can enjoy Internet TV, online interactive media, and third-party apps, in addition to channels already included with your DISH Network package. Not only that, but the new search functions on the Hopper 3 help you browse and filter content on Netflix® and other apps according to genre, actor, and much more—appealing to binge-watchers of all ages and tastes. Enjoy Hands-Free TV™ with DISH and Amazon® Alexa. 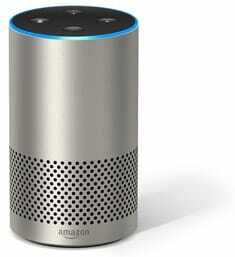 When you pair your DISH Hopper with an Amazon Echo, Echo Dot, or any other Alexa-enabled devices, you can navigate through your guide and DVR content just by talking to Alexa. With simple voice commands, Alexa finds your favorite TV series, movies, and networks as quickly as she finds the weather forecast. Now you can add watching TV to your strategy for a seamless smart home. Plus, when you add some 4K Joey receivers to your DISH package for just $5 a month each, one Hopper 3 can support up to seven TVs in different rooms. The Bluetooth-enabled 4K Joey is sleek and fully compatible with non-4K TVs. Say good bye to tons of unsightly wires and an unwieldy installation process because the 4K Joey maximizes wireless technology to deliver live and recorded TV virtually anywhere in and around your home. Finally, the new Hopper Voice Remote has a simplified design with an illuminated touchpad, making it easy for you to get the most out of your Hopper 3. As the name indicates, the new Hopper remote features advanced voice recognition that you can access with the push of a button. Imagine having a personal assistant to help you with all of your satellite TV and Internet needs. The Hopper 3 gives you that and much, much more. Any DISH subscriber can stream live TV on mobile devices. But when you get the Hopper 3, you can also stream content from your DVR–and that's all because of Sling®. Sling is a smart technology that effectively turns your mobile device into a long-distance remote control to your Hopper, giving you complete freedom to set DVR recordings and watch saved content anywhere with an Internet connection. 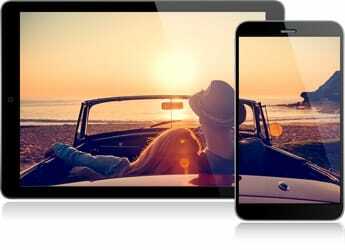 Sling also enables convenient features like pausing on one device and switching to another or downloading content to watch offline. Why is the Hopper 3 better? Finding the best DVR for your home can be tough. Fortunately, the decision is easy when comparing the DISH Hopper to DirecTV's Genie. The Hopper holds up to 500 hours of HD storage with 2TB and can record up to 16 programs at once. The Hopper beats out the competition with extras like a backlit voice control remote, the ability to Autohop commercials, and 4K compatibility. Learn more about which DVR is right for you! Did we mention that that was just the tip of the iceberg? For all the geeks out there, here’s a list of some other top DISH DVR tech specs. Among other things, you’ll be able to switch TVs and pick up wherever you left off on your Hopper with Sling®, skip prime-time ads with PrimeTime Anytime, and watch your DVR recordings on your cellphone using the DISH Anywhere app. Learn a bit more by scanning through these lists and then call 1-844-727-5739 to speak with a knowledgeable DISH representative. What is the DISH Network Hopper? The Hopper is a 4K HD DVR–one of the best on the market. The Hopper helps you watch, record, and store the shows you love, with the option to record multiple shows at once and store up to 2,000 hours of content. The DISH Hopper also lets you watch in multiple rooms of your house and is compatible with Amazon Alexa, along with many other features. How many tuners does the DISH Hopper have? 16 tuners, allowing you to watch up to 4 shows at once and record 16 shows at once. The Hopper allows you to record as many as 16 shows at one time. How many shows can I watch at once? Side-by-side allows you to watch 2 shows at once. MultiView lets you watch up to 4 shows shows at once, on the same screen. And Multi-Channel View lets you watch the 6 top-trending channels at once on channel 100. How do I set DVR preferences on my Hopper? Click the Options button. This will bring up a menu. Select Manage Folders from the menu. From there you can add content, name the folder, and hit save to ensure your new folder is saved on your account. Select the Home or Menu button. Select the Settings button. This will bring up a menu. Select Timer Defaults from the menu. You can then edit and save your desired timers. Select the Menu or Home button. Select Primetime Anytime from the menu. The next screen that comes up will let you edit and save your desired Primetime Anytime settings. Select the Home or or Menu button. Select Timer Defaults from the menu that appears. Scroll down to the option that says Smart Select Prepare for Mobile. How do I connect my DISH Hopper to the internet? To connect your DISH Hopper to the internet via ethernet cable, connect an ethernet cable from your internet router to the Hopper. When you order a Hopper for the first time, this cable is included. To connect your DISH Hopper to a wireless internal internet connection, navigate to the Internet tab under Settings. Then select WI-FI SETUP WIZARD and follow the instructions to select your home network and enter your password. Select the Save button when finished. To connect your DISH Hopper with a wireless adapter, plug the wireless adapter into the port in the back of your Hopper and follow all the instructions for connecting to a wireless internal internet connection. How do I manage recordings on DISH? 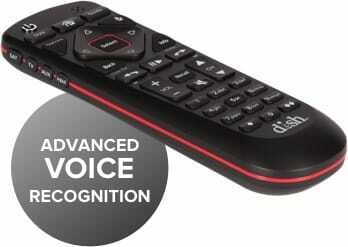 To manage DVR recordings, press the DVR button on your remote, followed by the Options button. Then you can select recordings and move them into personalized folders. To search your recordings, use the Smart Search feature. Delete recordings by selecting the DVR button, arrowing to the show you want to delete, and pressing the recall button. You can also set and change parental controls to limit access to TV content and recordings. What is DISH Primetime Anytime and how does it work? DISH Primetime Anytime is a recording feature on the Hopper that allows you to access any primetime show from ABC, CBS, NBC, and Fox within 8 days of each show’s airing date. Go into your DVR settings. Find the Primetime Anytime tab. Select the show you want to keep longer than 8 days and click the save button. You can also change the Primetime Anytime settings in the Primetime Anytime tab. How much does it cost to add the DISH Hopper? The cost of adding a DISH Hopper to your existing DISH subscription is a monthly Whole Home DVR fee of $15 for the first Hopper, plus an additional $15/month for each additional Hopper you order. How much does it cost to upgrade to the Hopper and Joey if I am an existing customer? The cost of upgrading to a Hopper and a Joey for an existing customer is a monthly Home Whole DVR fee of $15.